Small to Medium Enterprises (SMEs) are the critical driver of global economic growth, worldwide1. However, a characteristic of many small businesses is a lack of dedicated Information Technology (IT) staff, resulting in difficulty adapting to rapidly changing technology, and preference for rental rather than ownership of the IT resources they rely on, including the WLAN network. Though they recognize the importance of wireless technology, SMEs often lack the skills and time to master it, relegating it to low priority compared to other business needs. Alternately, technology is the business of Managed Service Providers such as Internet Service providers (ISPs), System Integrators (SIs) and Value added resellers (VARs). They’re well positioned to supplement the world’s growing unmanaged IT segment, stepping in to offer Managed WLAN services and other IT services. System Integrators in many parts of the world now not only quote and install networks, but also manage them on a daily basis. Lean, IT-savvy MSPs are finding ways to get top notch results. 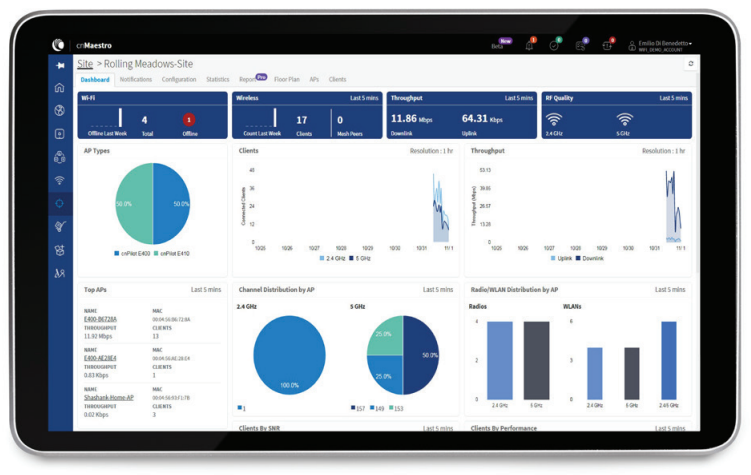 The cnPilot controller offers key management features, such as the ability to offer monitoring login right to their network, while the MSP admin has the super-admin configuration and upgrade rights, can help MSP’s alleviate the soft concerns of their customers for visibility. MSPs can also help their customers monetize their Wi-Fi network. Wi-Fi in retail and hospitality establishments can increase guest traffic, benefiting not only sales, but also generating customer insights from Wi-Fi analytics that help them target offerings and operations. An MSP that understands such inherent business drivers can offer marketable insights beyond daily IT maintenance. Doing so provides competitive advantage that increases the MSP’s onboarding rate of managed services business customers. Another key value that MSPs offer their customers is the ability to eliminate capital expenditure (CAPEX) spending by their customers, enabling small businesses to pay monthly rent on Internet and WLAN services. This flexible approach avoids expensive long-term commitments as the MSP takes on the responsibility to ensure service. Cambium Networks’ value for MSPs: Cambium Networks’ cnPilot solutions with cnMaestro controller management support MSPs delivery of trouble free service to customers, reducing their operating costs and protecting their bottom lines. 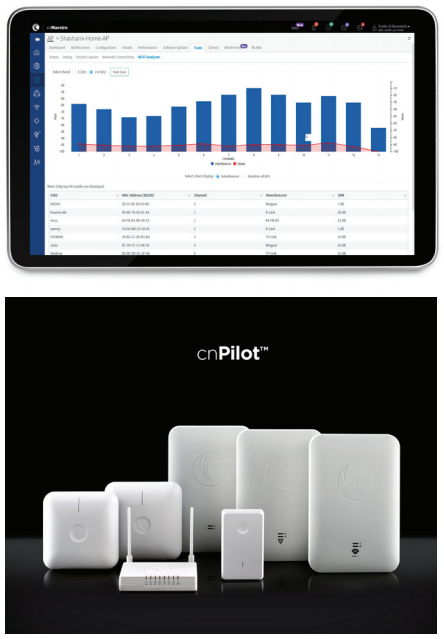 Enabling great Wi-Fi access cnPilot’s 802.11ac cloud managed Indoor and outdoor access points (APs) offer world class Wi-Fi solutions at competitive price points, making for a great return on Investment (ROI) for our MSP partners. With Cambium solutions, MSPs can control their capital costs, and in turn offer excellent rental rates to their customers. These are supplemented with privacy sensitive multi-tenant Wi-Fi monetization services like Portal hosting with social login, voucher generation, and API support – empowering MSPs to add additional services that increase their value to the businesses they manage. Cambium’s cloud controller and On-premises server options give MSPs choices when it comes to deploying controllers suited to their business needs. In both cases, eliminating the on-site appliance controller streamlines operations and bolsters the bottom line, ensuring MSPs can meet and exceed their customer’s expectations. 1 According to the World Bank, SMEs in emerging economies contribute up to 45% of total employment and up to 33% of national income (GDP).